Guests aboard a motor yacht have a front-row seat to watch COLUMBIA and SHAMROCK II vie for the America’s Cup, 28 September, 1901. In those days, raucous spectator fleets would crowd the challengers; this captain is determined to keep his vessel ahead of the fray. 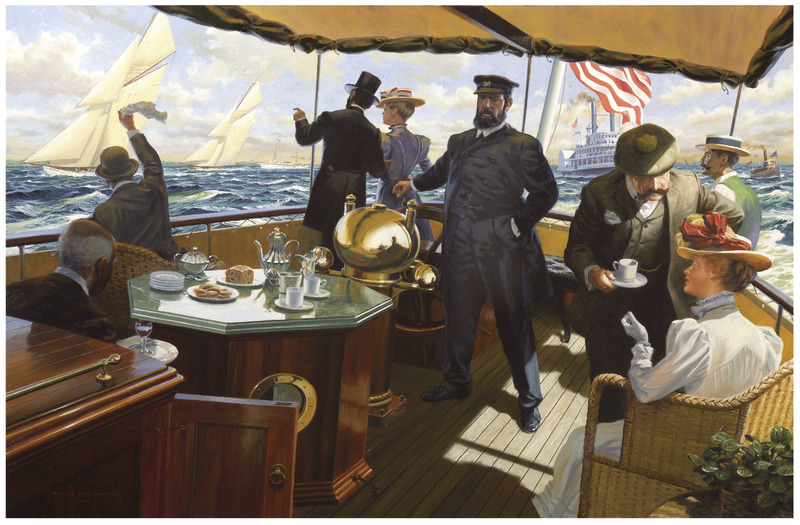 This painting was featured in the 2007 Modern Marine Masters Exhibition at Mystic Seaport and is now in private collection.